My first time making brownies and I didn't fail. This just proves that the recipe I'm presenting to you guys below is essentially... fool-proof. 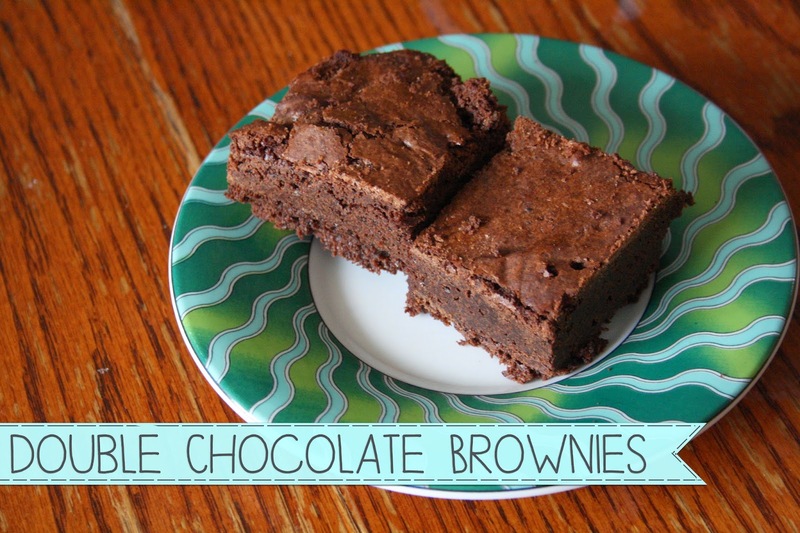 I found this recipe online a long time ago, unfortunately, I don't have a source, just know that someone else out there came up with these brownies haha :P So let's get started! 1. In a medium container, combine the flour, cocoa powder, baking powder and salt. 2. Whisk the contents together until you obtain an even mixture. 3. In a separate and microwavable container, combine your chocolate and butter. 4. Heat the chocolate and butter in 30 second intervals, stirring in between. 5. Add your sugar, vanilla extract and eggs to the chocolate and stir until evenly mixed. 6. Add the flour mixture into the chocolate mixture and fold it in without overmixing. 7. Spread a small piece of butter across the pan to keep the brownies from sticking. 8. Cross two strips of parchment paper along the bottom of the pan. Leave a slight overhang which you will later use to transfer the brownies from the pan to a cutting board. 9. Pour your mixture into the pan and spread it out evenly. 10. Heat your oven to 350°F. 11. Bake the brownies for 30-35 minutes. 12. Set the pan over a cooling rack to cool, then transfer the brownies to a cutting board and cut into 16 pieces. There we have it, double chocolate brownies! I always like to reword the recipes I post on here so I hope it still makes some sense. Once again, it's super easy to make and tastes amazing. I'll see you soon with a... HUGE summer haul. Oops.